Need help navigating WSM earnings? Specialty retailer Williams-Sonoma, Inc. (NYSE: WSM) reported a better-than-expected fourth quarter report and encouraging guidance, but fell short of convincing three Street analysts to turn more positive on the stock. Bank of America's Curtis Nagle maintains an Underperform rating on Williams-Sonoma with an unchanged $42 price target. Credit Suisse's Seth Sigman maintains at Underperform, unchanged $50 price target. 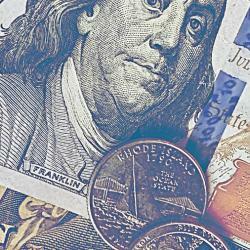 KeyBanc Capital Markets' Bradley Thomas maintains a Sector Weight, no price target. Williams-Sonoma's fourth quarter EPS of $2.10 beat expectations of $1.91 per share, but Nagle said the upside came from a lower tax rate and "significant" operating earnings adjustments. For the full year, 2018 operating margin and profits rose due to the application of new revenue recognition standards and the removal of non-operating costs. Excluding these benefits, EBIT would have been 11 percent lower for the year. Management's guidance looks "lofty," including comp growth of 2-5 percent, the analyst wrote in a note. If revenue comes in towards the low end of its $5.67-$58.84 billion range, it could negatively impact management's EBIT margin guidance of 2018. Williams-Sonoma's print was weaker than headline numbers suggest, Sigman said. Specifically, comps showed a meaningful deceleration when adjusting for a benefit from delayed third-quarter sales and other factors. A more realistic figure is around 2 percent -- versus 2.4 percent reported -- and 4 percent adjusted for the third quarter. Gross margins were 25 basis points higher in the quarter, but excluding the accounting changes it would have fallen by 10 basis points. Williams-Sonoma's brands remain compelling. 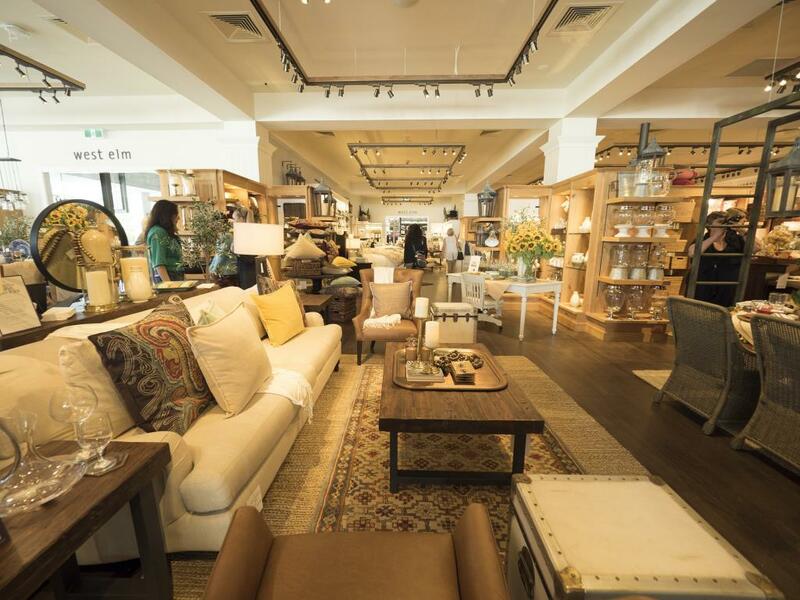 Most notably, West Elm showed an acceleration in comps from 8.3 percent in the third quarter to 11.1 percent in the fourth quarter, Thomas said. 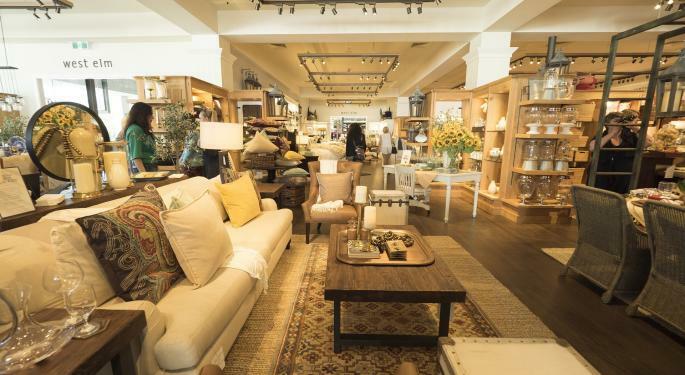 Management's long-term guidance of mid-to-high-single digit top-line growth and flat margins is based on positive results from investments in West Elm and Rejuvenation stores and repositioning of the core Williams-Sonoma store. Thomas said the company remains a multi-channel retail leader and boasts some of the most notable brands in furniture and home furnishing. Despite an "encouraging" year of execution in 2018, margin upside looks limited due to investments in the business and competition. The industry as a whole will likely be negatively impacted by cyclical risk and a slowdown in housing trends. Shares of Williams-Sonoma were trading higher by 3 percent at $58.58 Thursday afternoon.